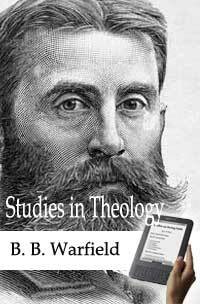 In this book Warfield writes on a large array of theological and philosophical topics. This volume contains twenty-one articles and essays on which covers the task and method of systematic theology, the relationship between apologetics and theology, and the relationship between mysticism and Christianity. Warfield also includes chapters on specific theological topics, such as predestination, baptism, the theology of Jonathan Edwards, and the theological significance of Luther’s ninety-five theses. He also addresses pressing theological and social controversies, such as the age of human beings in response to Charles Darwin’s Origin of the Species, and the history and future of rationalism. Note: We take exception to Warfield's take on evolution.